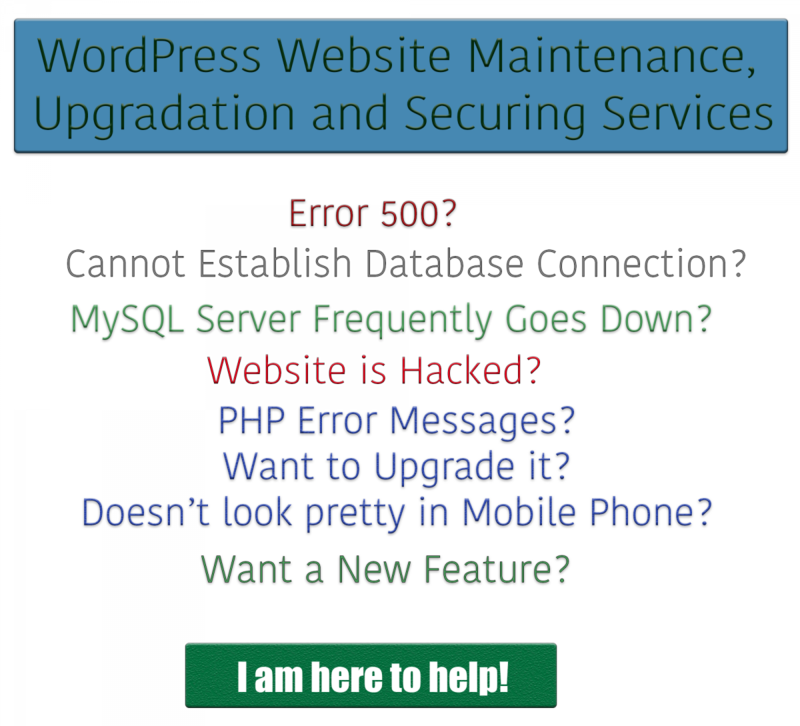 I provide WordPress website maintenance, upgradation and securing services to my premium customers efficiently. I have been working as a Top Rated freelancer in Upwork for a good long time and I have gathered extensive experience of protecting a website from hacking, DDoS or Brute Force attack. So, if you are looking for the following services, I can help you for sure. Is your WordPress website down? Can’t figure out what is wrong with it? Does it show 500 Error? Do you need someone to update/maintain your Website regularly? Do you want to extend your website’s features? Is your website showing some warning or php errors? A specific feature or portion of your website isn’t working? Some robot is visiting non-existing page of your website? Somehow you have known that you need to prevent DDoS and Brute Force attack but can’t figure out exactly how? You need to optimize your website for Google/Social media platforms so that it shows your content well? Do you need to install SSL Certificate to your website. It increases users trust as their personal data will be passed/saved securely with encription. Google shows websites with SSL certificates at the top. And it’s a must for the eCommerce sites. If your problem is enlisted in the list above, contact me! I am here to help! And by the way, if the list above doesn’t make proper sense to you but you need to secure/enhance/upgrade your website, I am available for discussion. Also, if you don’t find your expected service in the purchase list below, please Contact me here.